Scott Stolarick graduated with academic distinction from Illinois Benedictine College receiving a Master’s in Counseling Psychology. 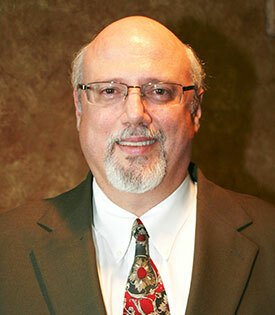 Scott is a licensed, psychotherapist who has been practicing in the state of Illinois for over 20 years. He is an experienced administrator and clinical supervisor as well as a seasoned clinician. Scott has experience with clinical practice in a variety of settings including police departments, psychiatric hospitals, a county jail, a youth services agency and private practice. Throughout the years, Scott has provided successful treatment planning for depression, anxiety, anger management, sexual abuse (victims and perpetrators), sexual addiction, substance abuse, marital discord and family conflict, just to name a few. In addition to having a diverse clinical skill set, Scott is an accomplished forensic evaluator working extensively in the juvenile and adult court systems of Lake County, Illinois. He is also a polished public speaker and has provided a variety of clinical workshops at the local and state levels. Scott brings a non-threatening approach to the clinical context, placing a high value on the importance of establishing rapport and safety for those he serves. He is a believer in the collaborative approach to healing, empowering clients to play an active role in their movement towards health. Scott utilizes primarily Cognitive-Behavioral and Psychodynamic treatment modalities. He is also trained in Level I and Level II EMDR (Eye Movement Desensitization Reprocessing), which is a specialized approach to targeting, reducing and in many cases eliminating adverse emotions associated with traumatic experiences. For those clients involved in other beneficial services (i.e. support groups, other therapeutic modalities, psychiatric or other medical care), Scott is a firm believer in the coordination of care and promoting consistent communication amongst service providers. He also has an extensive knowledge base of adjunct and specialty services in the Lake County area, and can provide the necessary linkage to such service when it is deemed necessary. Scott typically serves clients ages 12 and older and is willing to make exceptions on a case by case basis. Communication and the ability to present as forthright and genuine are among the many clinical skills Scott possesses in developing engagement with those he serves while creating an environment for change and healing.